It is one of the world’s excellent performers in the metal detector field. It is ideal for being used in metal detecting in airports, factories and exhibition halls etc. 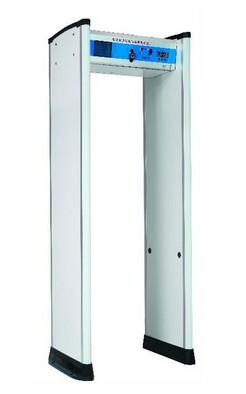 That is Hi-Tech 10 zone Walk through Metal Detector which has a waterproof, fireproof and shakeproof design. This is a walk through metal detector with 10 zones and each area has high brightness LED indicator, metal detection and precise and accurate instruction and position. A big LCD display with Chinese-English interface can provide an easy and convenient way for people to handle this hi-tech walk through metal detector. And you can use computers execute digital to control the 10 zone walk through metal detector when several walkthrough metal detectors network together, which can maximize the detecting range. To improve the stability of the products, the walk through metal detector has adopted the digital and analog technology that can reduce misstatement and omission. 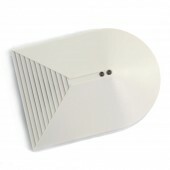 It is also has high detecting sensitivity and allows you to adjust between 0-99 independently in the detecting area. Seen from the product appearance, you may think that it is not easy to install the metal detector. However, with adopting modularization design, the device is easy to remove and install. According to your detailed needs, the walk through metal detector offers optional three types of alarm which are high, low and mute. It is a very smart detector, isn’t it? Big LCD display, Chinese-English interface, easy, convenient and human operation. 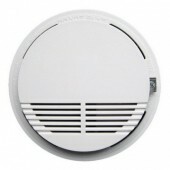 There is three type of alarm: High, Low and Mute, used in different time and occasion. The sensitivity of each detecting area can be adjusted from 0-99 independently. Using digital and analog technology combining, can reduce misstatement, omission, and greatly improve the stability of the products. Equipped with a remote control for convenient operation. Adopting modularization design for easy removal and installation. Through rate: more than 60 / per minute. Fast delivery and the attitude are both well. Everything! Great Value! I advise everyone!Not only have the good quality but also have the excellent working condition. The price is great,the style is great and the Metal Detector is great.I have used it and tested it,no problem.I trust it.